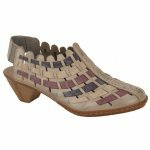 Rieker Cuba 46778 women's slip on casual shoe. A unique design with scalloped edging and a contrast elastic weave with a small heel of 44mm. The elasticated sling back strap allows for the shoe to be slipped off and on with ease as well as providing adjustability. 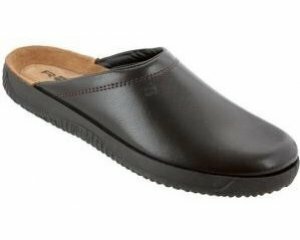 Rieker's Anti-Stress technology provides shock absorption and lasting comfort, making it ideal for all day wear. 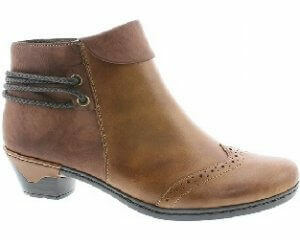 The beautiful Rieker Cuba is available in beige multi, white, denim blue, denim/tan and rose gold from a size 36-41 (3-8).